← Once Upon a Time with… Liana Brooks! On November 1st, The Dark Lord, which I co-authored with John Peck under our joint penname of Jack Heckel (Wonder Twin powers, activate! ), will be released as an ebook. It’s the start of a new series, unrelated to A Fairy-tale Ending and The Pitchfork of Destiny. It shares a sense of humor with The Charming Tales, but overall, it has a different tone, a touch darker and slightly more serious. The novel parodies epic fantasy, much in the same way our first series has fractured fairy tales. 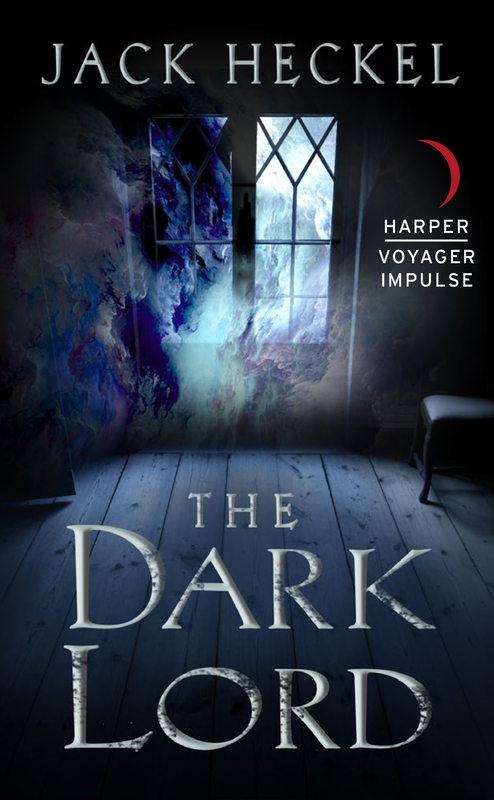 In the book, Avery Stewart, grad student at Mysterium University, has assumed the identity of the Dark Lord on the sub-world of Trelari, a world similar to Middle-Earth, Azeroth, the Forgotten Realms, Krynn, the world of the Belgariad or any of a number of other fantasy novel settings. His purpose is to cause the Heroes of the Age to unite to defeat him, basically inoculating the world from evil, like a vaccine causing the body to protect itself from disease. Everything goes well, and with a few days to go, he leaves his experiment running. When an undergrad, Vivian, steals the key to Trelari’s reality, Avery has to go back to Trelari to set things right. The problems? His only ally is his roommate who made a boardgame out of his dissertation. Without the key to reality, he has to follow the rules of the sub-world, which means, among other things, going to a bar and recruiting a group of adventurers. The final problem? He’s allied with the same heroes who fought him as the Dark Lord. And that’s not to mention dark riders, gelatinous slimes, golems, trolls, gnolls, and a plethora of traps… and more. A lot of the inspiration for The Dark Lord goes back to my early days of playing Dungeons & Dragons. Fantasy novels have plenty of influence as well, but when I was about 10 years old, I fell completely in love with roleplaying games. 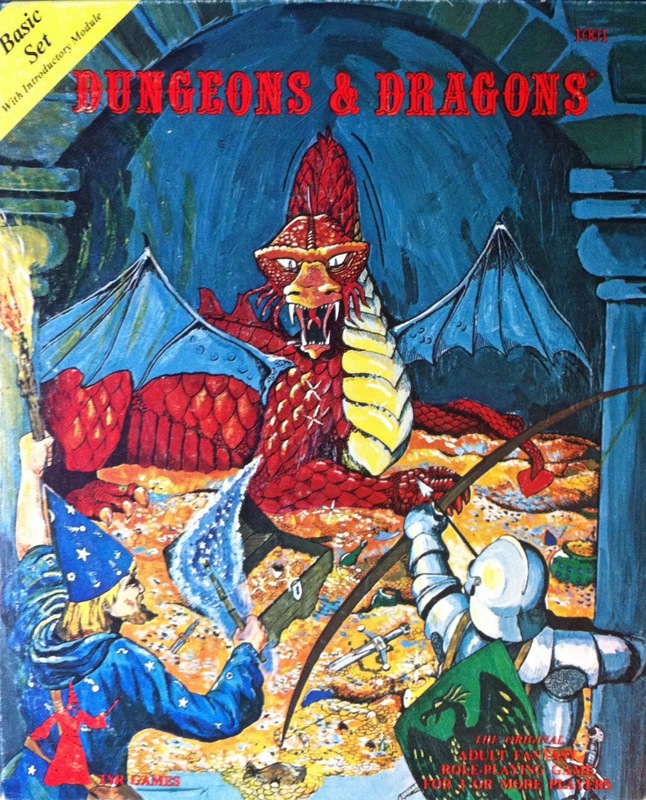 My first game was a boxed version of Basic Dungeons & Dragons with a red dragon on the cover. Inside was a blue book, and inside that was magic! After drawing massive dungeons on giant sheets of graph paper and throwing waves of 1st to 3rd level characters at them, I graduated to Advanced Dungeons & Dragons, 1st edition. I spent more time reading that Dungeon Master’s Guide than any other roleplaying book I have ever owned. As I roleplayed, I discovered various strange things in the game, little weird behaviors from players and odd bits caused by game mechanics. When game editions changed, I almost always tried to convert or grandfather older characters into the new rules. This led to even more weirdness. The Dark Lord was inspired by all of these little things and the amusement they caused, from encumbrance to wandering monsters. If orcs live in this set of caves with ten foot wide corridors, wouldn’t a wandering dragon eat them, get stuck in the corridors or dramatically widen the halls? Why do almost all of the magical weapons happen to be swords? Who built all those dungeons, and why would monsters choose to live there? And as far as treasure, who the heck did they steal all that gold from? I was fascinated with dungeon modules, books that contained settings and quests and served as examples of how to create a good adventure. In my first D&D box, there was a module titled Keep on the Borderlands. My group played with that module, cutting it up, changing it around and reusing it more times than I could count. It had a castle, a wilderness and a set of caves known as the Caves of Chaos which I think contained every form of humanoid monster imaginable. Okay, actually, it didn’t have every kind, but for a teenager, it was pretty full. There were orcs, goblins, bugbears, hobgoblins and I even recall a minotaur. If my memory is failing me, then forgive me, because it’s hard to recall what was actually there and what we modified to throw into it. I may have to do a blog on that all on its own. However, we took some elements of those old modules and put them into The Dark Lord as well. Without giving too much away, if you ever suffered through the Tomb of Horrors, you will enjoy the novel. If you are reading this and thinking, wait, do I have to have lived through the 80’s to appreciate The Dark Lord? The answer is definitely no. However, this book is Jack Heckel’s love letter to epic fantasy and roleplaying games, including the online variety such as EverQuest and World of Warcraft. If you’ve never read Lord of the Rings or watched the movies and haven’t played any fantasy roleplaying games or wargames of any sort EVER, there are jokes that you will miss. I can’t imagine that any one reading this hasn’t been exposed to Harry Potter however. If you have ANY questions about The Dark Lord, please comment below and I’ll be glad to answer. Posted on October 22, 2016, in The Dark Lord and tagged Avery Stewart, Comedic Fantasy, Dark Lord, Dungeons & Dragons, Epic Fantasy Parody, Fantasy Bestseller, Gary Gygax, Harper Voyager Impulse, Jack Heckel, Justice Cleaver, Mysterium University, New Epic Fantasy, Once Upon a Time, Parody Epic Fantasy, Terry Pratchett, The Dark Lord, Trelari, Valdara. Bookmark the permalink. Leave a comment.